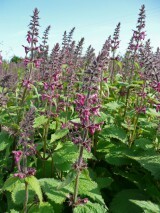 Hedge woundwort is a medium height perennial covered in rough hair and with a pungent smell when crushed. The leaves are stalked, dark green and shaped like an elongated heart. The flowers, which are arranged in whorls, are a dark reddish purple covered in white blotches. Flowers from June to October. Hedge woundwort is a plant of moist, relatively fertile soils where light shade and occasional disturbance prevents dominance by more robust species. It therefore grows in habitats where these conditions are found such as verges, hedge banks, woodland rides and river banks. 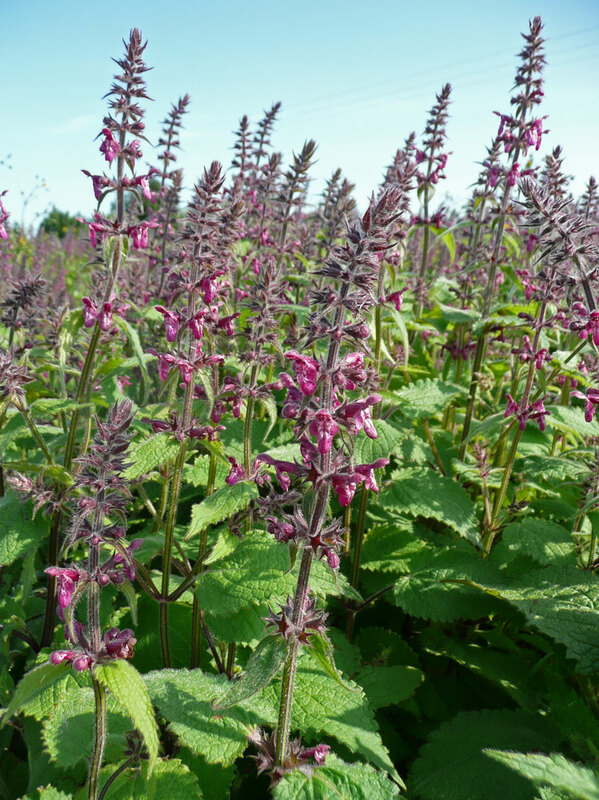 Hedge woundwort spreads to new sites by seed or rhizome fragments and then rapidly colonizes them by means of vigorous rhizomatous extension. Bees are the main pollinators of hedge woundwort and the bronze shield-bug (Eysarcoris fabricii) can often be found feeding on it. Sow in late summer or autumn as the seed requires a period of chilling to break dormancy.